On a floured surface, roll out the puff pastry to a large rectangle. Cut into smaller rectangles (size is up to you). Transfer the pastry to the baking sheet. Using a fork, score the edges of each rectangle to form a border. Chill the pastry shapes for 30 minutes. Meanwhile, preheat the oven to 200 degree c.
Cut the nectarines up into thin slices. 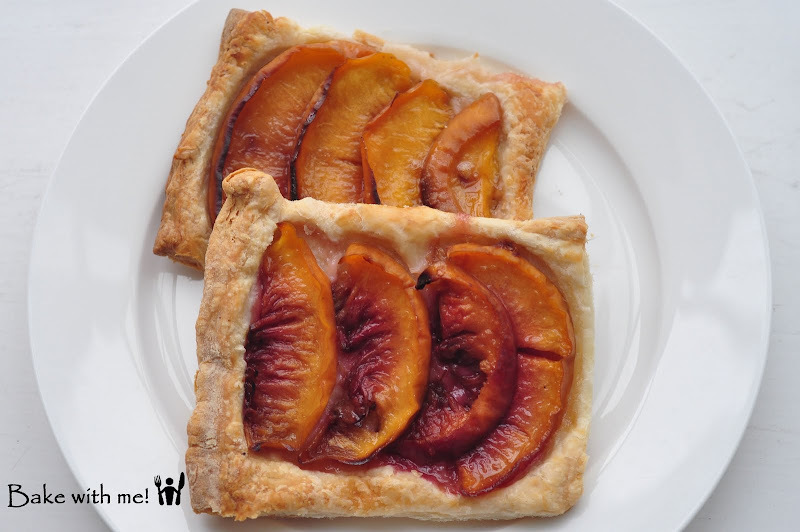 Arrange the nectarine slices in the centre of the pastry rectangles, leaving the border uncovered. Sprinkle caster sugar and a little freshly grated nutmeg onto the pastries. 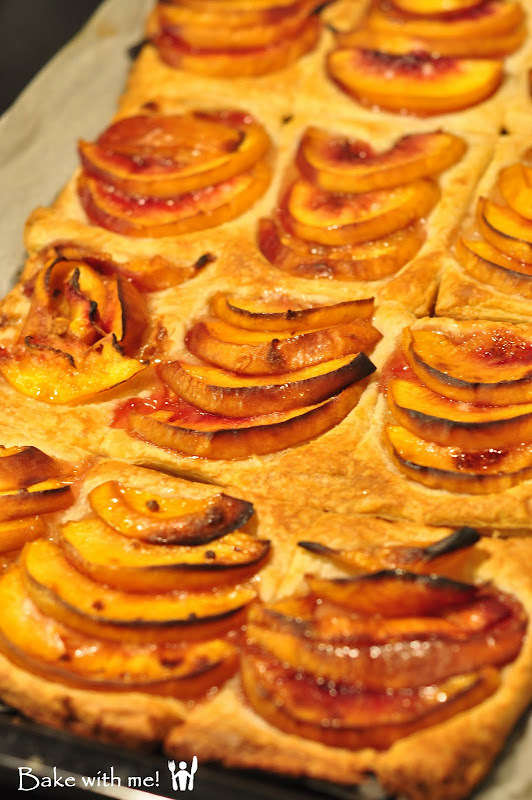 Bake for 12-15 minutes until the edges of each pastry case are puffed up and the fruit is tender. Transfer the tarts to a wire rack to cool slightly before removing and serving warm. Filed under: Baking • Share on Facebook • Google+ it • Save to del.icio.us • Digg it! no coment for this food.. Welcome to meisin's online journal of kitchen experiments and culinary adventures. She has recently started this food photography blog, a project that combines her passion in photography and in cooking. ***Do forgive her for all the incomplete blog posts as most of them contain only pictures. She's in the mood of taking photos but more text & recipe will follow...she promise!